March has arrived. In Toronto, there are no alerts or warnings or red notifications on the Weather Network. But the forecast is for more wintry weather for the foreseeable future. So it’s as true as ever this year that March comes in like a lion (and — one can only hope this year — will go out like a lamb). 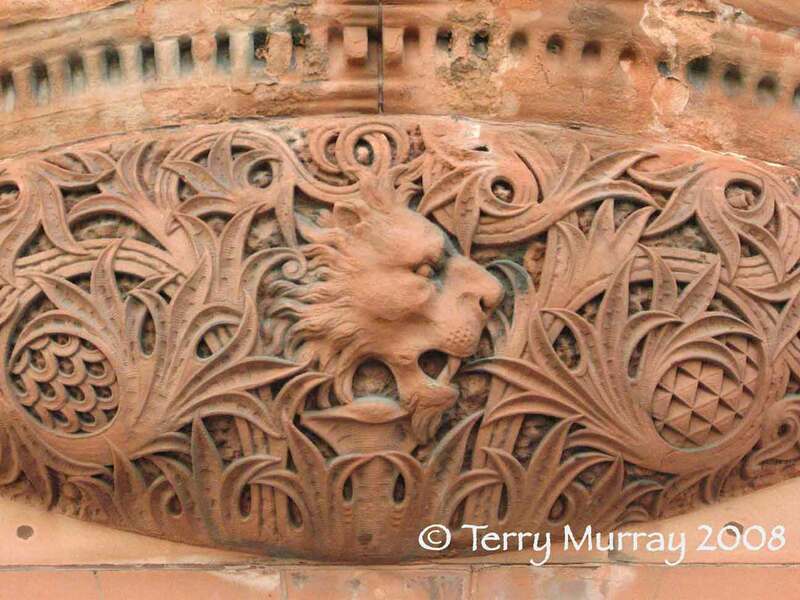 If this were a human face tangled up in foliage, it would be called a “green man.” I don’t know if there is a category of architectural sculpture known as the “green lion,” but there ought to be, based on this example alone. 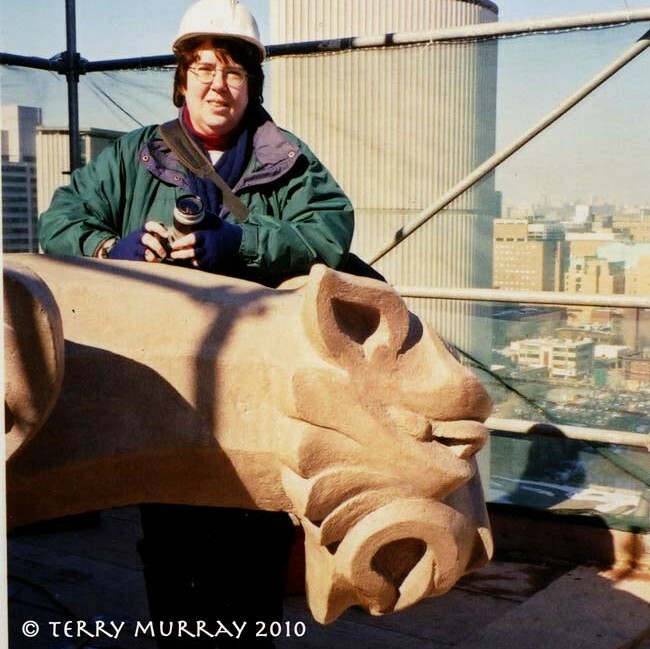 Lions may be so ubiquitous in architectural sculpture because of their frequent use in heraldry, and because they stand for virtually everything. This building is currently a branch of the Canadian Imperial Bank of Commerce (CIBC), at Church and Carlton, but it was originally the Somerset House Hotel, built in 1895 by Frederick H. Herbert and remodelled in 1930 by Langley & Howland. In entry for Herbert in the online Biographical Dictionary of Architects in Canada 1800-1950, Robert Hill says he was a proponent of the Queen Anne style and his work was characterized by circular corner towers (of which this is a modified example). 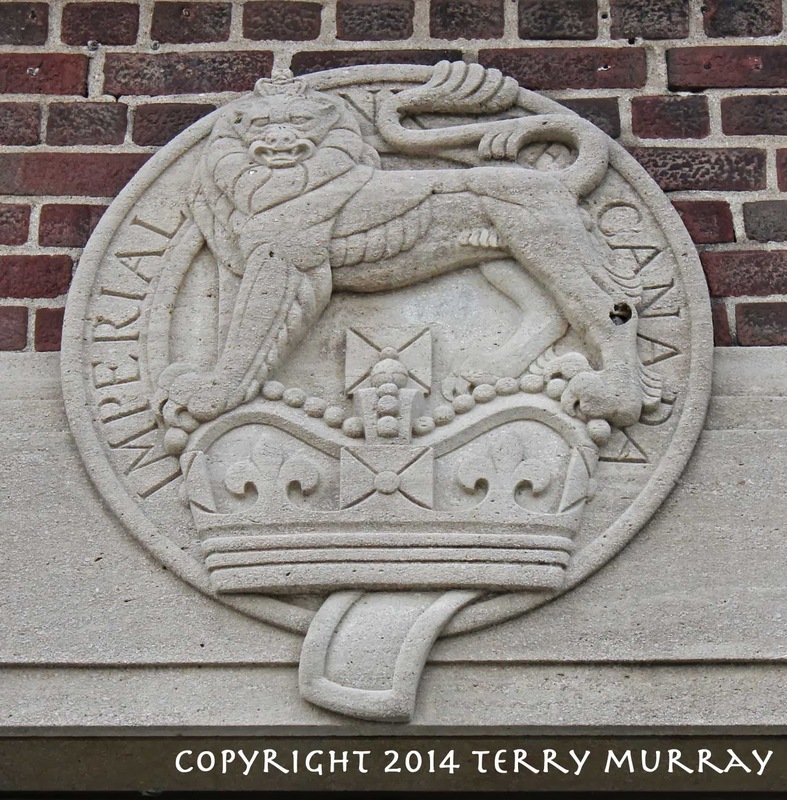 Here’s another CIBC lion, although from the days when it was just the Imperial Bank of Canada, and before its merger with the Canadian Bank of Commerce in 1961. I shot this on a recently closed CIBC branch in Leaside. The building has recently been sold to a developer. It was built in 1940-1941 as the official bank to the former Town of Leaside and, according to the building’s heritage property nomination form, was the scene of a Boyd Gang hold up.